EXCLUSIVE offer by registering here and receive 50% revenue share for first 3 months. Condor Affiliates is the affiliate program for a number of excellent online gaming brands such as 24Bettle, b-Bets, Rembrandt Casino, Casino Sieger and Big5 Casino. Receive an EXCLUSIVE offer by registering here and receive 50% revenue share for first 3 months. Condor Affiliates is an affiliate program that you might want to know more about. Managed by Condor Gaming SRL, the program is perfect for affiliate partners who want to maximize their earnings by targeting the highly affluent European and international online casino gaming markets. Affiliate partners get to promote recognized casino brands such as b-Bets, Rembrandt Casino, and Casino Sieger. These online casinos have unique casino games and services that all but ensure high conversions thus making them ideal for affiliate partners. Additionally, Condor Affiliates offers generous commissions as well as an affiliate referral so that its affiliates can fully maximize their earning potentials when they promote the program's partner brands. Affiliate partners get to enjoy a 30% share of the net gaming revenue each partner brand was able to generate through their referrals. What's great about this commission structure is the fact that negative carry-overs aren't imposed and the net gaming revenue is calculated on a per-brand basis. 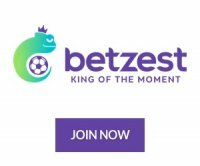 This means that a positive commission from b-Bets won't be affected or lessened if the affiliate gets a negative commission from promoting Casino Sieger. Additionally, since there's no negative carry-over, an affiliate's negative commission won't affect his/her potential positive commission for the next month.It's also possible to receive more commissions by promoting Condor Affiliates to other affiliates. An affiliate stands to receive 5% of his/her sub-affiliate's net generated revenue. The initial payout for commissions is usually processed through a Bank Transfer and the affiliate can then opt for Skrill or Neteller for the succeeding months. Target markets include Germany, Canada, Australia, United Kindom, Austria, China, Sweden, Norway and Finland. Condor Affiliates welcome adult players from all countries with exception to US, Africa and Middle East. One of the backend features that Condor Affiliates prides itself in is its real time statistics. Affiliate partners can monitor the activities of their referred players as well as the revenue generated by the promoted brands from these players' transactions. Aside from this feature, the program also offers a wide range of promotional materials including banners, custom landing pages, mailers, logos, text links or any other specif materials that the affiliate can use for his/her website or mailers. Other than to promote Condor Affiliates' partner casino brands, these promotional materials also have tracking codes that will allow the affiliate to track his/her referral traffic using the real time statistics feature mentioned earlier. Like with most affiliate programs, your success at Condor Affiliates is dependent on the effort and time you clock in when promoting its partner brands. In terms of commissions, there are probably other affiliate programs that offer more to their partners. However, finding an affiliate program like Condor Affiliates that helps its affiliate partners in almost all aspects of running an affiliate campaign is quite rare. This program has distinguished itself apart from others though how it actively helps you to succeed at promoting its brands. From promotional materials to backend features and affiliate support, this affiliate program has its affiliate partners covered. If you think a supportive affiliate program is an important consideration for your career as an affiliate then it might be a good idea to check out Condor Affiliates.